This weekend, YelaWolf is playing back to back shows at St.Andrew's Hall. The Alabama born artist made waves in our city in 2011 when he was signed to Shady Records. In fact, he finished his hit album Radioactive right here in Detroit. He may have made a name for himself in the south, but he became a star in the Midwest and we love him because of it. 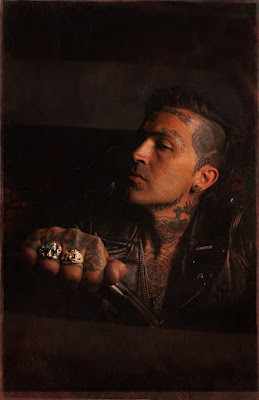 Last year, YelaWolf took his music in a new direction when he released his third full length album called Trial by Fire. This album has a heavy county undertone to it and has been widely recognized for merging rock, rap, and country in a whole new way. The 14 track album also features a variety of collabs, including guest appearances by Kid Rock, Juicy J, Travis Barker, and Wynonna Judd. You can hear the full length album here. Then, you can come out this Saturday or Sunday to see some of it performed in person at St.Andrew's. Waylon & Willie will be opening both nights and tickets to attend the show are $30-$100 a night. You can purchase tickets to attend one of the shows here. Or, you can enter to win tickets to Sunday night's show courtesy of Live Nation Detroit. If you would like to enter to win tickets to the show, please email your full name to hipindetroit@gmail.com with #yelawolf in the subject line. We will draw one lucky person the morning of the show and they will get to see YelaWolf perform live and in person in the historic venue.